Water is an elixir for the human body and provides new energy. You can release precisely this energy in our swimmingpool. Let yourself drift, feel light and carefree. 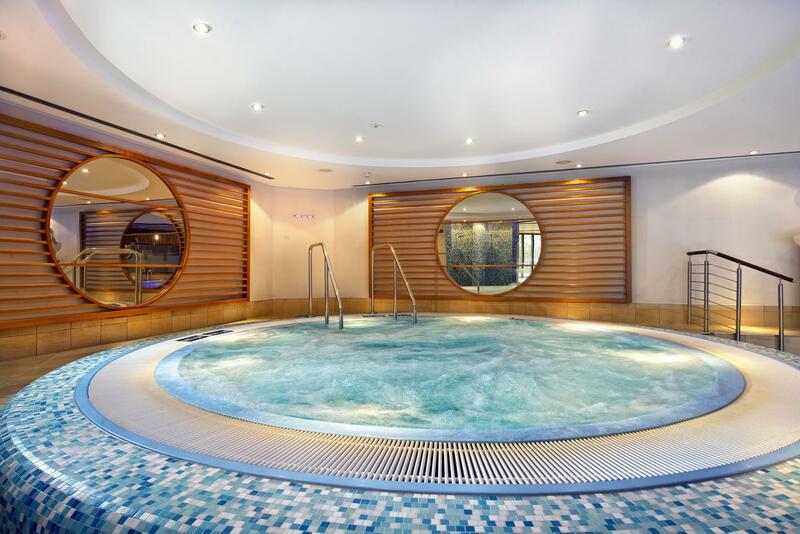 Enjoy the exclusive atmosphere and dive into an ambiance of well-being. 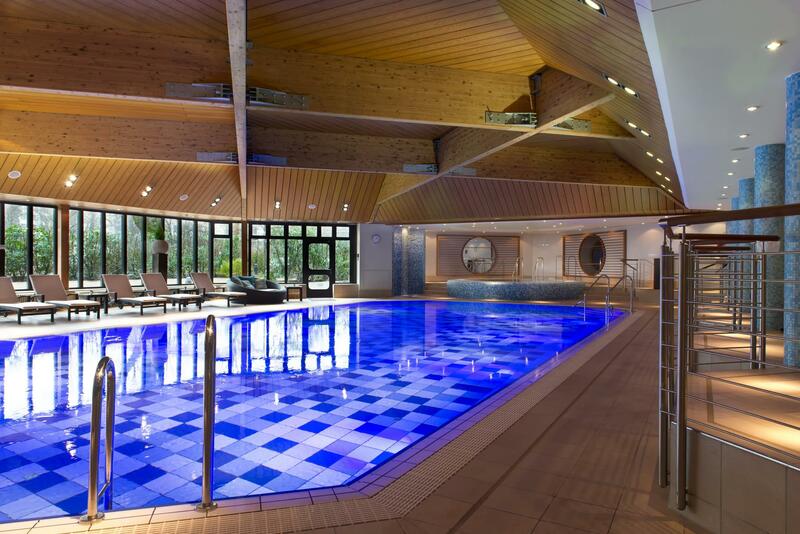 Swim your laps in the hall which is lit with natural daylight or relax in our generously large whirlpool. The warm, luxurious materials of the space interacting with the atmospheric lighting create a mood for concentrating on oneself. For in between, our comfortable chaises are good for relaxing breaks. This way, you design your own ideal formula for relaxation.